With over 23 years’ experience in both public and private practice, Adam Preston started Preston Podiatry on a wealth of experience and a focus on customer service. Adam joined the My FootDr group in December 2017 and continues to care for patients in West Perth and Currambine. Graduating in 1993 with a bachelor of science, he worked all over Western Australia, in the public system, health department, and his own private practice. He’s worked as far as the Kimberly and Broome, attending in hospitals and regional communities for 15 years, where he’s treated a full range of the kinds of foot problems and ailments people find themselves suffering. 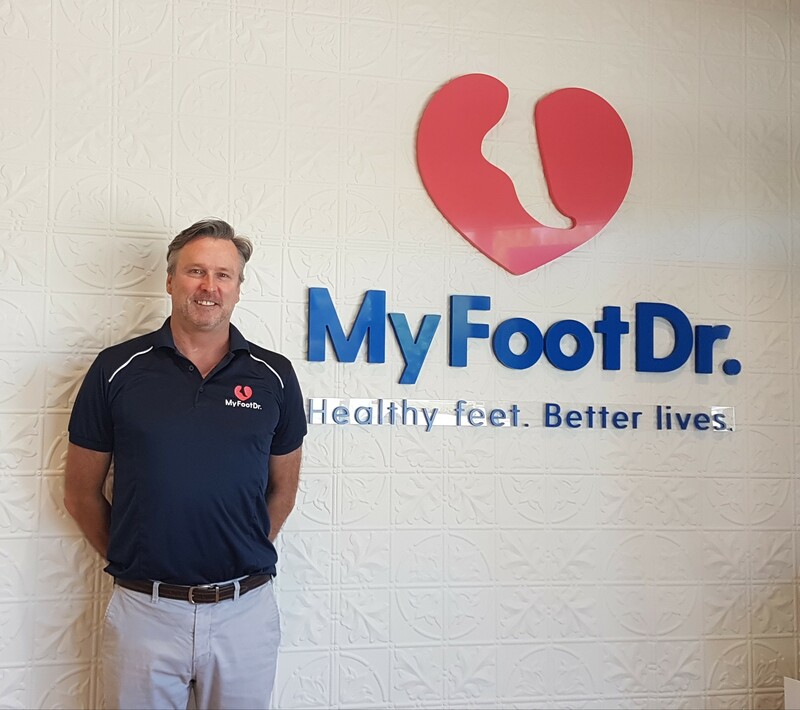 While flying out to work in regional communities, Adam based his private practice work in Perth, dealing with all areas of podiatry, including sporting injuries, skin and nail issues, and paediatric podiatry – treating kids with developmental problems. Since incorporating Preston Podiatry 6 years ago, Adam has been sure to keep the clinic abreast with the latest technology and advancements in podiatry, ensuring he provides his patients with the best solutions for what’s ailing them. Adam introduced laser nail treatments to Perth 5 years ago, treating fungal nail infections with fast results. More recently he’s introduced lunula cold laser treatments, an advanced process that treats nail infections quickly and painlessly. That’s why at My FootDr Currambine and West Perth you can rest assured you’re in good hands, and that all the staff are dedicated to your care, utilising the most advanced methods available today.